Scotland is a fickle land; you never quite know from one hour to the next what the weather might do. But if I had to be completely honest, it's one of the many reasons I love the place. 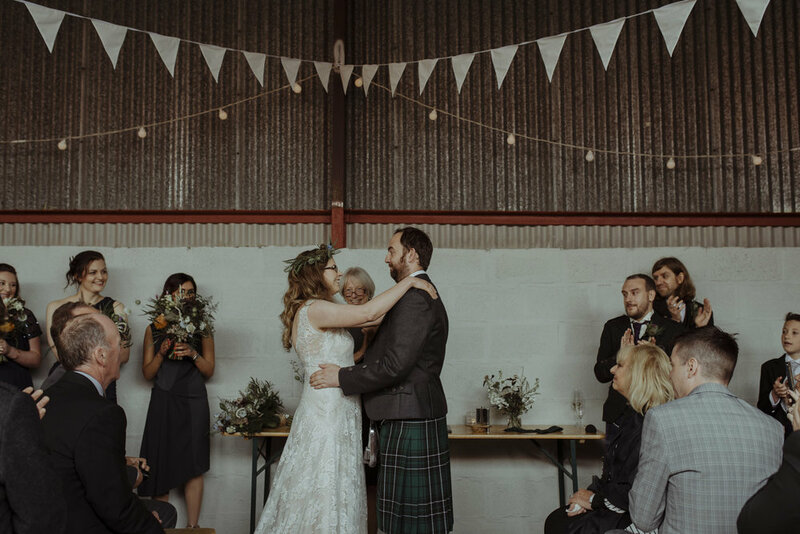 Caroline and Alastair were married on a sunny, overcast, rainy, windy, calm day at Dalduff Farm in Maybole, and it was truly lovely. 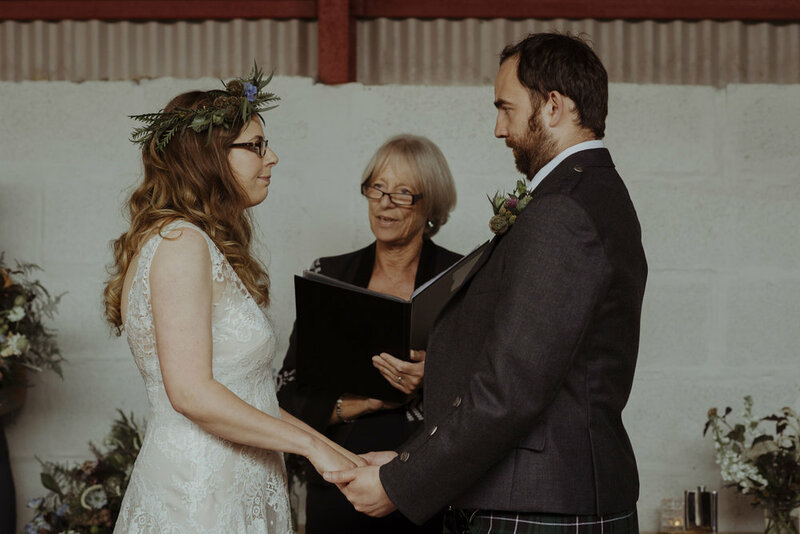 Their impeccable style and real love of life made their wedding so memorable - I just had to share it with you here.